I love Rupaul’s Drag Race. I know that I’m late to the party but I only started watching it after it was added to Netflix last year. I think it’s fantastic how diverse the contestants are. I mean, can you think of any other American reality show that consistently has contestants from a variety of ethnic backgrounds and such a range of body types? Despite this, it’s becoming increasingly disturbing to me that the show promotes eating disorders. Even though there is always at least one larger queen on each season they are often among the first to be sent home and (at least from the seasons I’ve watched so far) a larger queen has never won. Contestants regularly make comments about each others (and their own) weight and size. There is clearly a huge amount of pressure to conform to an ideal. The thing that highlighted the eating disorder aspect to me the most is the “lunch” with Ru that the contestants participate in toward the end of the each season. I put lunch in quotation marks because this so-called meal consists of a plate of tic tacs which contestants inevitably make jokes about being far too much food. Like, “oh, I couldn’t possibly!” Or “but I’m watching my figure! Ha ha ha.” I have never actually seen Ru, or any of the contestants, eat even a single tic tac. Generally, this is the only food featured in the show (although there was one challenge in which participants had to design their outfits based on cakes. Naturally, there was an observation made by Ru about the amount of cake gone from one of the larger queen’s cakes and an overwrought admission by a very thin queen to having eaten a slice of their cake). To me, this only serves to glorify eating disorders and disordered eating. Look at us, we’re so virtuous. We never eat. Not even a damn tic tac for lunch. Given that a number of contestants have openly spoken about their past (and present) struggles with eating disorders on the show I find it really unsettling that disordered eating is being promoted by the show itself. I hope that future seasons, now that more contestants are openly talking about their personal struggles with eating disorders, will stop with the segments that glorify these illnesses. We know that eating disorder rates are likely higher among LGBTQ+ populations and I can only assume that they are just as high, if not higher given the immense importance placed on appearance, in the drag community. Given that it’s Eating Disorder Awareness Week I think it’s important to emphasize that eating disorders are not trivial. They are not something to be made light of nor are they something to aspire to. For instance, did you know that anorexia has the highest mortality rate of all psychiatric disorders? Bulimia can lead to electrolyte imbalances that can also result in death. These disorders take an immense physical and emotional toll on those experiencing them and on their loved ones. Sadly, rates of eating disorders appear to be on the rise. If you are suffering from an eating disorder know that you are not alone. If you need someone to talk to and you live in Canada you can call the National Eating Disorder Information Centre for free at 1-866-633-4220. In the US you can contact the National Eating Disorder Association helpline (at the time that I’m writing this their phone line is down but you can chat with them online). Tags: anorexia, body image, bulimia, disordered eating, diversity, drag, drag queens, drag race, eating disorder awareness week, eating disorders, Rupaul | Permalink. When I saw the headline “Could enforcing a ‘no seconds’ policy at dinner time help combat childhood obesity?” I thought “I hope this isn’t as awful as I think it’s going to be”. I’m sorry to say that it was every bit as awful as it sounded, and then some. I was horrified to read the following in the first paragraph: “doctors are warning that parents should ban their children from second helpings to protect them from becoming overweight”. It didn’t get any better. This suggestion was based on research by a behavioural obesity researcher. The crux of her argument being that children are becoming overweight and obese because their parents are allowing them to stuff their greedy little faces at mealtimes. She is quoted as saying: “all parents should be being vigilant about portion control, so a no seconds policy” so, unfortunately, it would seem that her opinions are not being misrepresented. Apparently the reason that many children are becoming overweight and obese is because they’re eating 12 more calories at every meal than they need. I’d just like to point out that if this were in fact the case, then these children would not be getting sufficient calories for healthy growth and development if they were denied seconds as a second helping of nearly anything would likely exceed 12 calories. Twelve calories of most foods would amount to a minuscule quantity. According to Dr Llewellyn (the researcher mentioned above), “Some children are unable to regulate what they eat for themselves and many will not turn down food, even if they are not hungry”. Indeed, there are some children with genetic disorders, such as Prader-Willi Syndrome who are constantly hungry. However, disorders such as PWS affect about 1 out of every 15, 000 children born. That’s nowhere near the third of children estimated to be overweight or obese. I think that enforcing no seconds policies will only lead to increased rates of disordered eating. Most children are born with the innate ability to eat when they are hungry and stop eating when they are full. Most children unlearn this ability as they get older and are encouraged by parents to clean their plates, are bombarded by food advertisements, observe the eating habits of family members, are served excessively large portions at meals, are offered treats and snacks throughout the day, etc. More important than a theoretical excess 12 calories at each meal that a child may or may not be consuming is the formation of a healthy relationship to food. Arbitrarily placing limits on servings at mealtime will only feed an unhealthy relationship with food. This sort of thing teaches children not to trust their hunger cues, having the opposite of the intended effect. It teaches children that food is emotionally wrought. Denying hungry children food teaches them that they cannot trust their appetites and may also teach them that their self worth is measured on the scale. Pretty much the definition of an unhealthy relationship with food. Rather than making mealtimes a minefield, parents should be role modelling healthy attitudes and eating habits. They should be providing their children with nutritionally balanced meals at regular times and allowing their children to decide when they’re full. Whether that mean that they leave food on their plates or ask for more. Tags: childhood obesity, children, disordered eating, Dr Clare Llewellyn, healthy eating, mealtimes, nutrition, obesity, over eating, overweight, parenting | Permalink. 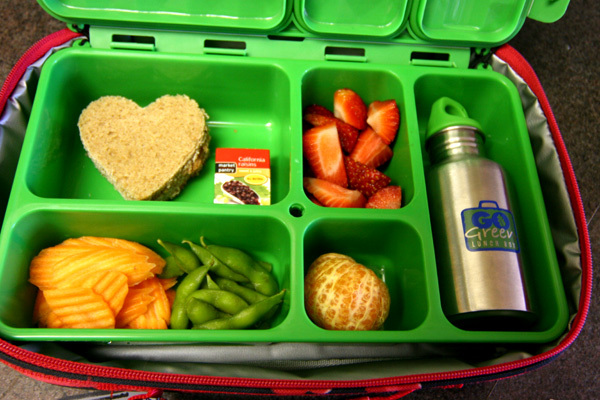 A school in Ontario has decided to ban students from eating “junk” food on school property. This means that any student sent to school with a chocolate bar or other banned food will be asked to take it home with them to consume. Unfortunately, there’s no list of criteria, or banned foods, available online. The principal does say that there will be some exceptions around holidays and while chocolate bars are a no-no, granola bars are fine. Sigh. There are a few issues I have with this policy. No, I am not concerned about the Nanny State. Honestly, considering our inability to care for ourselves properly as a society I think that we would all benefit from a little nannying. My primary concern is the seeming lack of understanding of food insecurity. No matter how many celebrity chefs will publicly state that healthy eating is cheaper than eating “junk” there are still going to be a disproportionate number of food insecure families relying on packaged, processed foods. This is partially because of the perception that healthy food is expensive, and in some cases this is true. It’s also because food insecurity is a complex issue. Many people lack food skills to prepare healthy meals and snacks for their families. There may also be a lack of access to kitchen tools and appliances necessary for the preparation of many healthy options. There may also be a lack of time available to prepare healthy snacks, or a means to transport fresh vegetables home from the grocery store. To ban children from bringing “junk” food to school is an act of privilege which will only serve to ostracize children from less privileged families. My second concern is with how this ban might affect eating habits later in life. Teaching children that some foods are forbidden, but then sending them home to eat them could potentially contribute to disordered eating later in life. While I don’t support the sale of nutritionally void foods at schools – schools should be providing children with the best possible nutrition for learning and growth and should not be turning a profit from selling them “junk” – I don’t think that policing lunch boxes is healthy. Imagine being a 6 year-old child sent to school with a cookie and being told you weren’t allowed to eat it at school. What lesson is this instilling? Is it teaching the child to make healthy choices. I don’t think so. I think it’s instilling a sense of shame and promoting “secret” eating. Children are extremely impressionable and this is when we should be ensuring that they develop lifelong healthy relationships with food. My final concern is more with the practicality of implementing this policy. Who is going to be responsible for searching students’ lunches, backpacks, coat pockets for contraband? How much time will this take away from the ever deteriorating curriculum? How will it be decided which foods fit and which foods are banished? As many granola bars are essentially chocolate bars in disguise as health food is there really much point in implementing a ban on chocolate bars but allowing granola bars? What about home-made treats? How will the teacher (or other food policer) know if a muffin is healthy or essentially an un-iced cupcake? I really do think that we need to be feeding children better diets and teaching them to enjoy a wide variety of nutritious foods. However, I don’t think that policing children’s lunches is going to do anything to achieve these objectives. In fact, I think it’s liable to do more harm than good. Tags: disordered eating, food insecurity, food police, healthy eating, lunch, nutrition, policy, school | Permalink. New evidence is surfacing that healthy eating initiatives in schools may be backfiring. It seems that some students have developed eating disorders (or disordered eating) after participating in obesity-prevention and healthy living programs in schools. While cause and effect can not be known for certain (i.e. there is no way for us to know if these students developed these food-related issues as a direct result of these programs) this news does raise an element of concern. I think that there are a number of strategies we, as health care providers and educators, can employ to avoid these unintended consequences. Firstly, we need to be careful about our messaging. Telling students what they should and shouldn’t eat has the potential to instil in them a sense of guilt when consuming foods they come to believe are “bad”. Infusing eating with negative emotions is definitely a good start for disordered eating. Far better to emphasis healthy and delicious foods and how to incorporate them into diets regularly than to tell kids not to drink pop or eat candy. This reminds me of an episode of Jamie Oliver’s Food Revolution. While I know that he meant well I was horrified when I saw him making students run laps to teach them how much effort it would take to burn off the calories from their chosen snack (snacks were oranges, chocolate bars, or pop if my memory serves me correctly). Beyond our messaging, we need to teach by example. It’s one thing to have a dietitian come in and tell the class about healthy eating and nutrition. It’s another, and far more meaningful lesson, thing for children to see their parents, teachers, and other adults living the lifestyle we’re telling them to live. I know that it can be hard to find the time to cook supper some days. I know that after working for 9 hours you don’t want to go to the gym, or run, or whatever your chosen exercise is. Honestly, these activities are the best medicine; both for yourself and for the future generation. 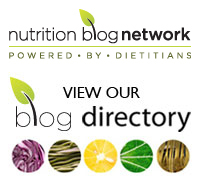 Tags: children, disordered eating, eating disorders, healthy eating, nutrition, teaching | Permalink.